If you�re like any of us UTV enthusiasts you enjoy a weekend away packed with trail ripping, mud flinging, music blasting good times. You might also enjoy the more leisurely ride with friends through the trails, enjoying nature and just getting some peace of mind. With that being said, rather a leisure or full throttle ride, you�re going to want protection from the dust and debris that can find its way into your machine. 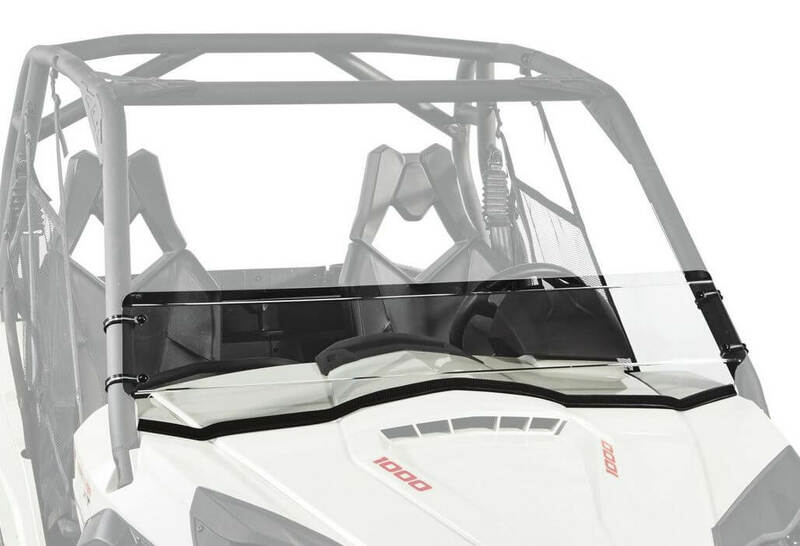 No matter what kind of rider you are, here at Side By Side Stuff we offer you the Kolpin Half Front Windshield for your Can-Am Commander. Precision crafted from .177� polycarbonate this windshield is made to withstand any terrain you decide to travel over and through. With rubber cushioned clamps holding the windshield to your factory roll cage the installation of your new Kolpin windshield will be a straightforward install. Taking the windshield to the next level, is the full length rubber seal that runs the perimeter of your windshield , perfect for that snug fit and rattle resistant ride! 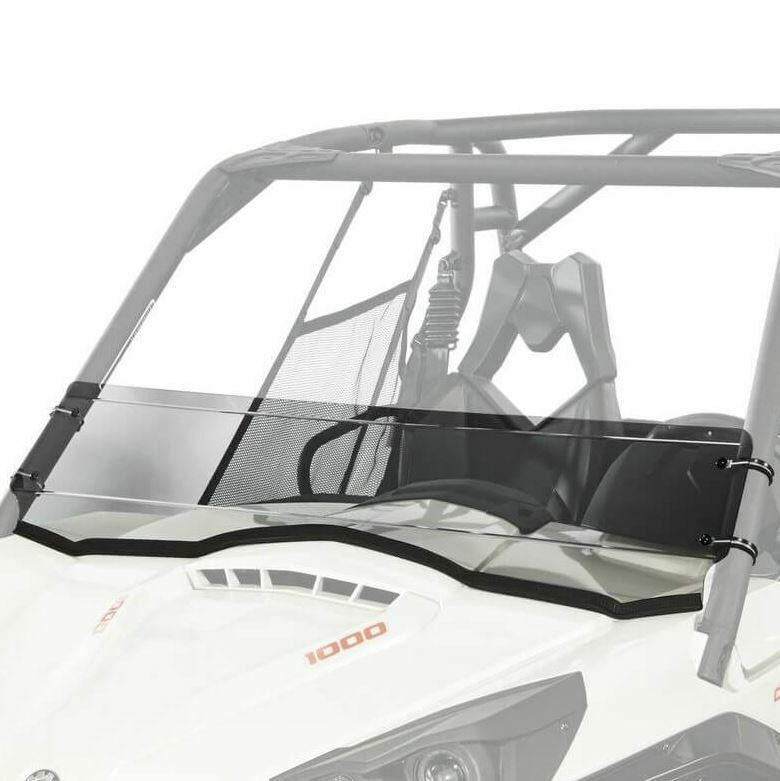 If you�re looking to outfit your Commander for even the worst days out wheeling, grab this Kolpin Half Front Windshield today!